An "Activity" refers to the container of questions. 1. Go to the Activities tab and click on any curriculum expectation. 2. It will highlight the expectation in green and a "View" button will appear. 3. Click 'View'. This exposes the questions available for that expectation. 4. In the top right corner of any question in that expectation is the "Add to" button. 5. 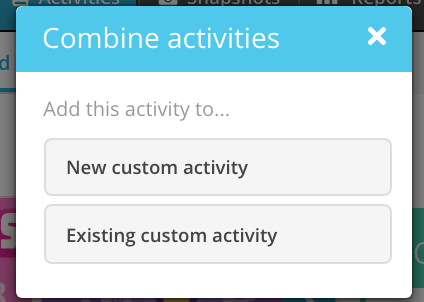 Click "Add To" and you will be able to add that question to an existing custom activity or to create a new custom activity and have it added there. 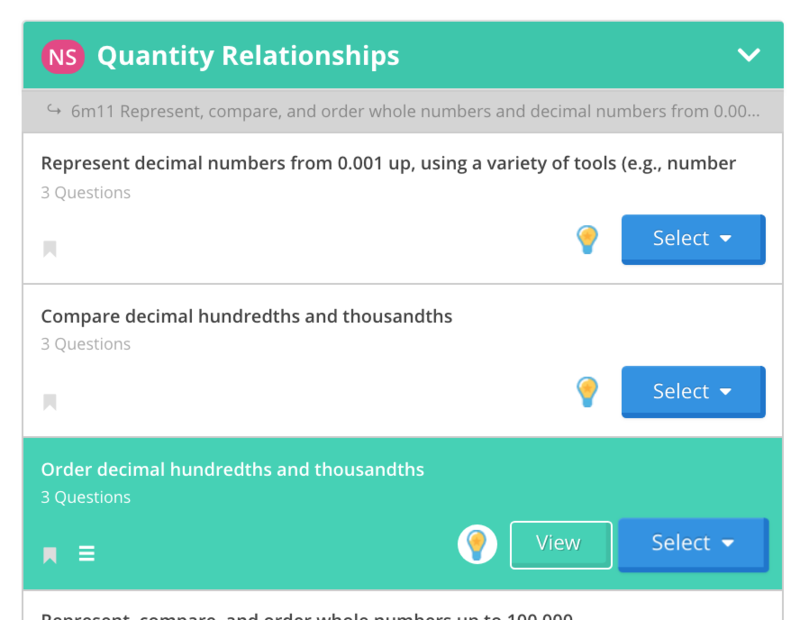 Click the "Select" button on one of the topics that you would like to make into a bigger activity. 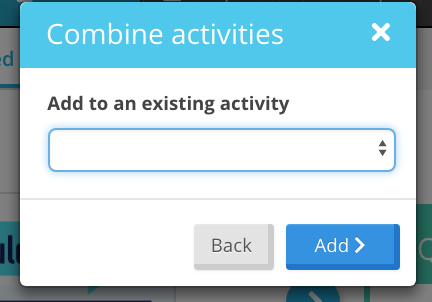 Clicking Combine Activities will take you to a pop up where you can create a new activity or add to an existing activity. 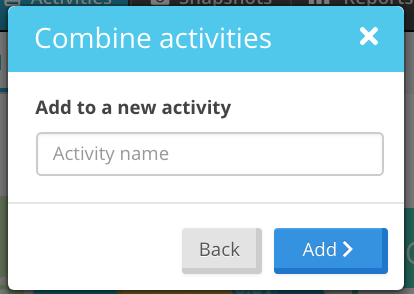 Clicking new activity will take you to a pop up where you can name your new activity. Once you've named it, press Add. 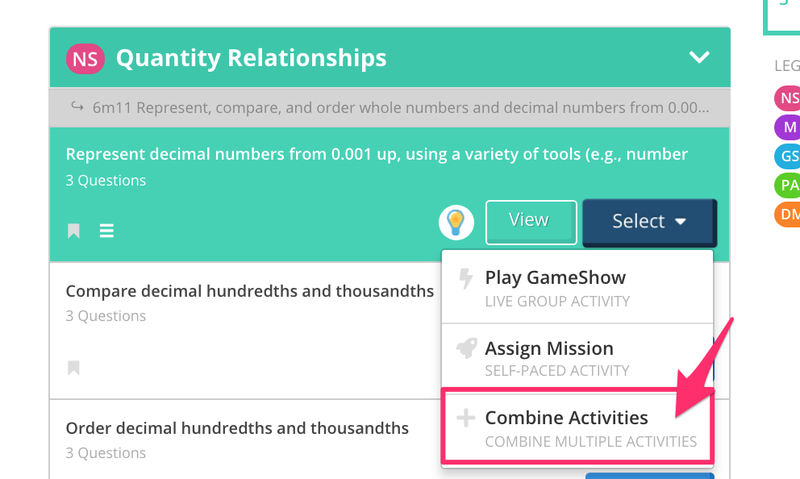 Follow the same steps as above with the next topic you want to add but instead of creating a "new activity" add the topic to the exiting activity that you just created. After playing a GameShow, if you'd like it removed, simply press the 'x' on the Reports page.